Above are a few of the images I took at the Kunsthaus, Berlin. 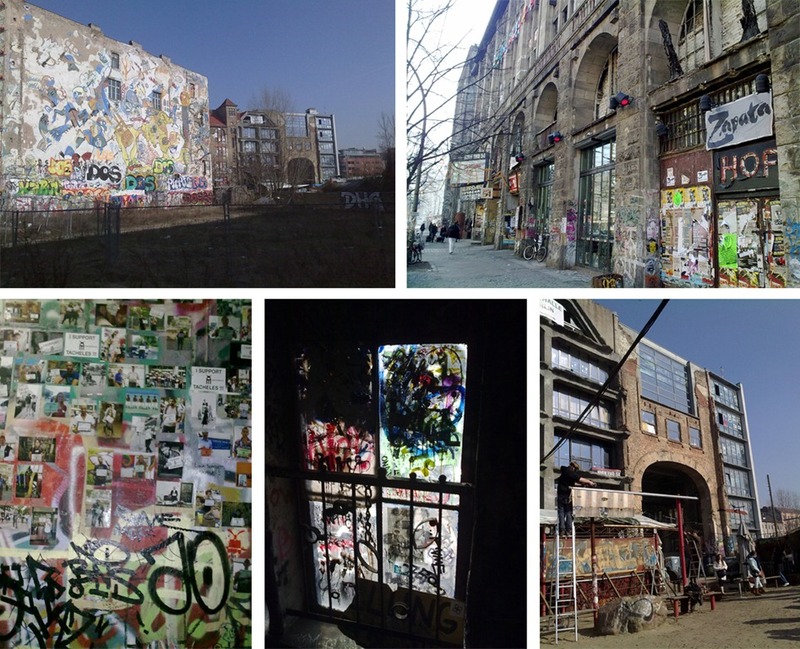 The huge, old building has been taken over by artists and has become an alternative centre for art in Berlin. The building, once grand and elegant has become something rather different. 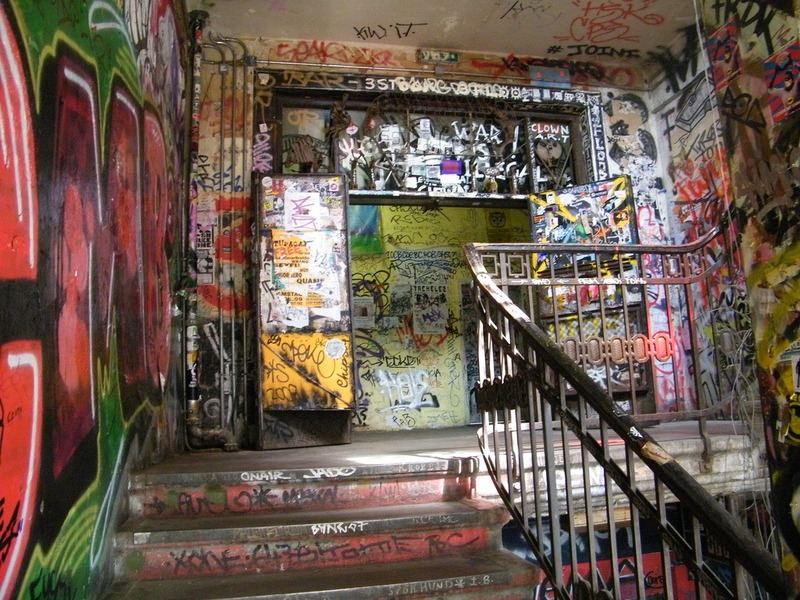 Walking up to the street towards the building, visitors are greeted by the sight of a huge wall covered in graffiti, this is the first signal that you are approaching something different from your usual gallery. You enter the building, into the base of a long set of stairs that wind there way up through the building. The entrance, is unmanned, open to the elements and an unpleasant smell of urine and alcohol hangs in the air. At this point feeling slightly hung over, thanks to the previous night I did wonder what I was getting myself into but I am so glad I stuck it out! Climbing the stairs, the beautiful original banister still remaining, every inch of the walls have been covered in graffiti. Built up over the years the space is somewhat of a legal graffiti gallery. Off the landings are corridors leading to artists studios. We had the chance to explore, some had been converted to galleries or contained stalls selling handcrafted objects. It was clear some of the artists were not only working in these spaces but living there too. Living in this building must impose a fairly interesting lifestyle. Behind the building is what at first glance looks like a junk yard. This outdoor space certainly has its junk, collected objects not yet ready to become art but it also has a bar, workshop spaces and many sculptures and pieces of art. This is clearly the outdoor social hub of the community, music banging, weed being smoked and art coming to life while friends and visitors look on. I would certainly advise visiting the Kunsthaus Tacheles. Intimidating as I initially found it, everybody I came across was friendly and in its graffiti covered depths are a few extremely talented artists.